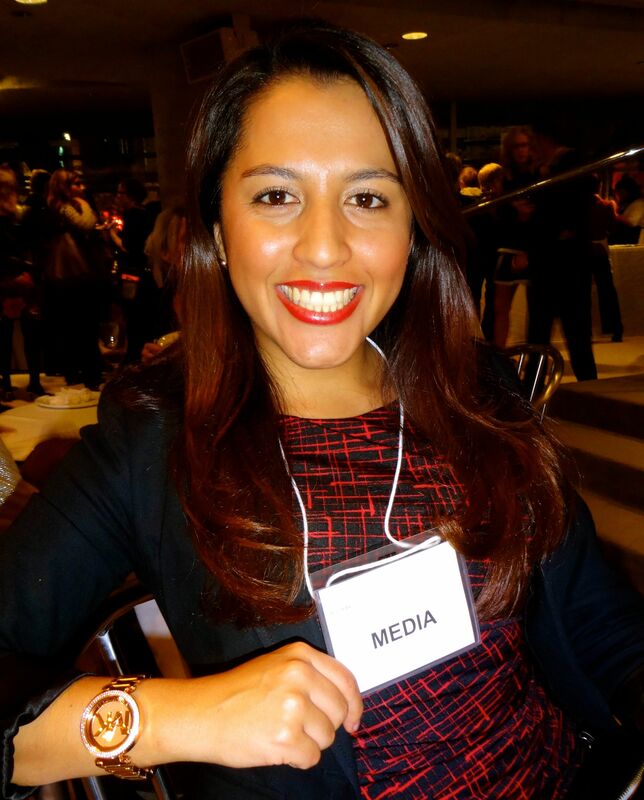 Viviana Machado is Manager of Digital Media and Content at The Home Depot. While her work there is interesting, what really sets her apart is how she has put herself on the map over the last five years with her acclaimed food blog, FoodiesInked.com. This venture reflects a deeply held personal passion and has also impacted her career trajectory. She joins us from Toronto to discuss this. You can hear our conversation in the podcast in iTunes, Stitcher or Soundcloud or below now. She identified her niche in the industry, her content tilt. She has remained true to this niche over the years even as it became difficult to do so and as she pushed out into new channels and platforms. She leveraged data to make decisions on what her gaps were and what needed to be done to address these. The idea for the blog began with a passion for food. Viviana came from the agency world and would share her trips to favoured restaurants with friends through email. Eventually, on a suggestion from friends she decided to launch her blog. She decided at the start that she was not going to be just another Yelp reviewer, and also did not want to simply write about restaurants and food in general, because frankly there were so many people that were already doing that very well. Instead, her focus was to serve people that were looking to go to a great spot in Toronto. She quickly understood that these people are not looking for bad reviews, in fact, they hope they won’t find bad reviews. That meant that her focus was going to be writing exclusively about great restaurants and experiences. This means that five years into the blog, any visitor is assured that any restaurant featured on the blog is great. This single-minded focus over the years led to a growth in visibility and readership and eventually to outreach from PR agencies and brands looking to activate on social media. This in turn led to attendance at food events, which of course led to even greater awareness of the blog. An important point she makes is that this content focus was a conscious decision based on wanting to be sure it would be something that she could see herself still writing about in many years time and that would still be applicable. That said, it’s still been hard to stick to this focus. From time to time she has had to forgo lucrative opportunities because it would mean writing with a bias and against the principles she had originally laid out. But this success didn’t just happen on its own; it took a lot of work. In a given week, Viviana spends around 3 to 4 hours on the blog, not including the time invested in going to restaurants. As she started getting paid for her work, she began putting in even greater effort on framing content specifically for her audience. She also recognized that she needed to upgrade her skills. She learned photoshop, an invaluable still in the food industry. She even attended a food writing course at George Brown College. This investment in improving her skills led to an immediate return. She could see a marked improvement in the quality of the writing on the blog. This need for improvement of content quality was not merely a result of a subjective observation. Her great impetus was a review of the analytics she had deployed on the site that showed that content performance, as measured by engagement and bounce rate was dropping. Her investment in upgrading her skills led to a turnaround in this trend. It is this reliance on the data that also led to breakthroughs in new content areas. A review of search trends in Google helped her understand that there was increased volume of people searching for ‘how to’ content. This inspired her to open a recipe section on her blog. However, she is not a professional cook and can’t compete with those that are or the content they create. Once again, this led her to find a way to differentiate herself online. She would source recipes from chefs like Jamie Oliver, then add a unique ingredient that would ‘make it her own’. This way she was able to create a niche for her content, consistent with the rest of the blog. Finally as she pushed out her efforts into online communities, she worked hard to maintain that constant focus. This was also difficult since while she was conscious in planning her strategy, she ended up being sub-consciously led by what the community was looking for. Rather than focusing exclusively on the metrics, she began taking an interest in who was sharing the content, who was commenting and what they were saying. This qualitative focus began to shape the way her content was displayed in each channel. Passion for the space and belief in the overarching mission. The continuous learning that is a feature of the digital industry. An example of this is her need to ensure that the blog was optimized for search. Understanding the changes in and nuances of social media. For example, ensuring a balance between micro-blogging, blogging and community engagement. Once again, it is clear that what made her successful in her blogging venture is that focus on the strategy while adjusting tactically to consider the changing environment, all reinforcing the central connection between blogging and digital strategy. Next week on octopus, we will explore the role of the digital strategist in higher education with our next guest. Please be sure to comment below. I’d love to hear from you. Please subscribe for alerts about new episodes and content. Thank you for listening to octopus. I’m Nasser Sahlool. Thanks for having me on the podcast Nasser! It was fun and refreshing. Love the concept of your site!